The official promotional images/posters for three forthcoming films Toyah has roles in have recently been made available: #SwipeRight, Extremis, Lies We Tell. As well as these Toyah will also feature in Kaleidoscope Man, Hound and To Be Someone. • #SwipeRight is a psychological thriller film based on a internet dating app. Do you really know who you let into your life when you swipe right? Toyah will have a cameo in this new British horror film directed by Jane Sanger and produced by Lumino Films. • Toyah acts in a cameo in the British thriller Extremis, written and directed by Steve Stone. The film poster for this was released for this recently whilst a release date is to be confirmed. Toyah also performs the new, original song Our Hearts Still Beat (Willcox / Darlow) for the film’s end titles. 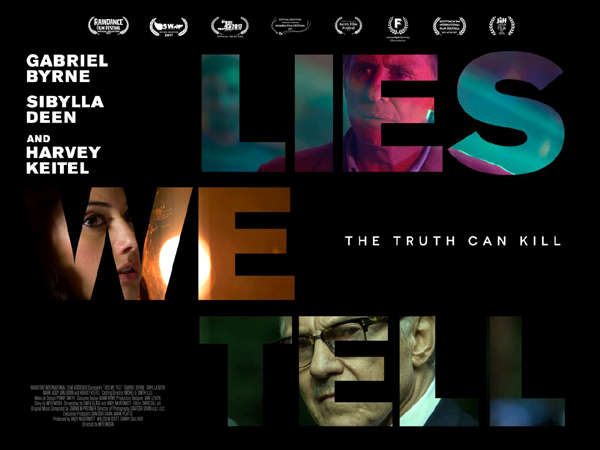 • Toyah appears as the wife of Harvey Keitel in the forthcoming 2016 film release Lies We Tell, directed by Mitu Misra. 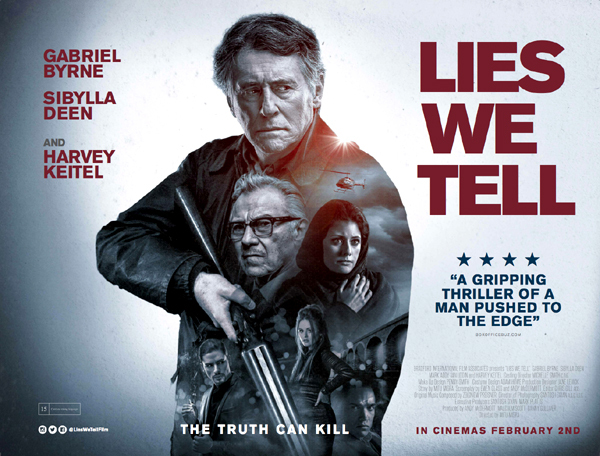 The film poster has just also been released for the Bradford Film Associates International production which stars Gabriel Byrne and Emily Atack. News/Info Source: Official Toyah / Breaking Through – Official Newsletter. 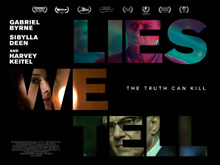 As well as Aaaaaaaah!, 3 Sides Of The Coin, Kaleidoscope Man and Extremis – Toyah is also about to begin work on a fifth new film, Lies We Tell. 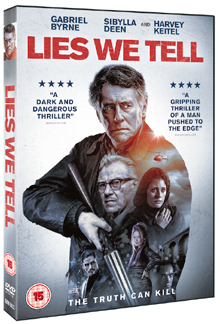 Byrneholics reported yesterday: Lies We Tell is in pre-production in the UK, with a release expected in 2016. Director Santosh Sivan tweeted on August 23 that he is headed to West Yorkshire, UK to begin filming. Director: Santosh Sivan, Writers: Ewen Glass (screenplay), Andy McDermott (screenplay), Stars: Gabriel Byrne, Reece Ritchie, Toyah Willcox. • View further info at the film’s imdb entry.